Gowanus is beautiful / I'm the gloaming. On a dead end street in early Summer in Brooklyn, right before the sun goes down, in the gloaming, one can spot this view of the Gowanus Canal. 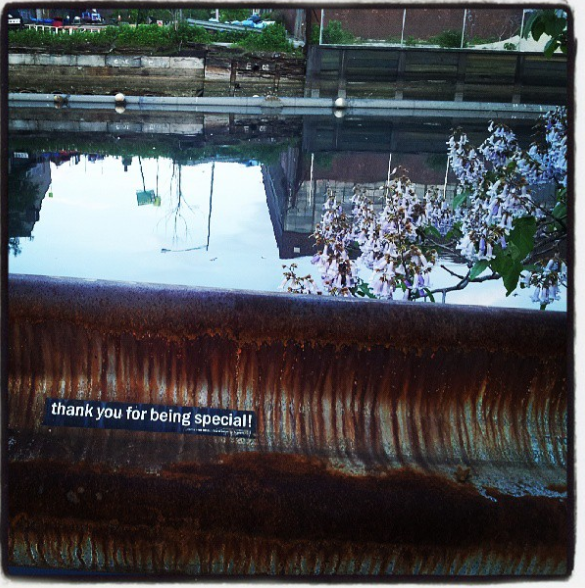 The bumper sticker reads: "thank you for being special! ".